"This is a TV show about a furry little alien based on the Hitchcock classic." 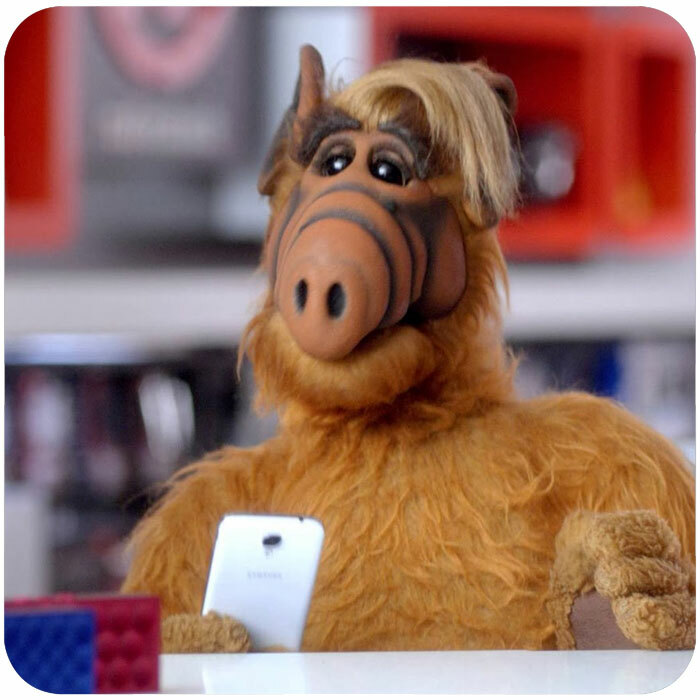 ALF is the name of a popular television sitcom series produced by NBC between 1986 and 1990, inspired by and spoofing the movie E.T. the Extra-Terrestrial (1982). It first aired September 22nd, 1986. 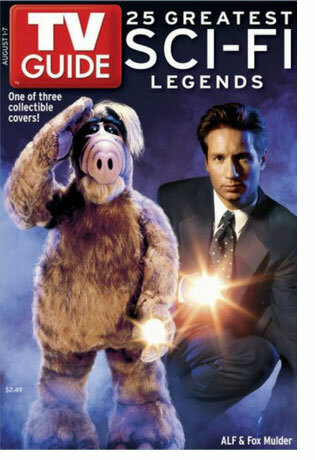 The title character is Gordon Shumway, an alien nicknamed A.L.F. (Alien Life Form). He was born on October 28th, 1756 on the Lower East side of the planet Melmac. The planet Melmac was located six parsecs past the Hydra Centaurus Supercluster and had a green sky and blue grass. 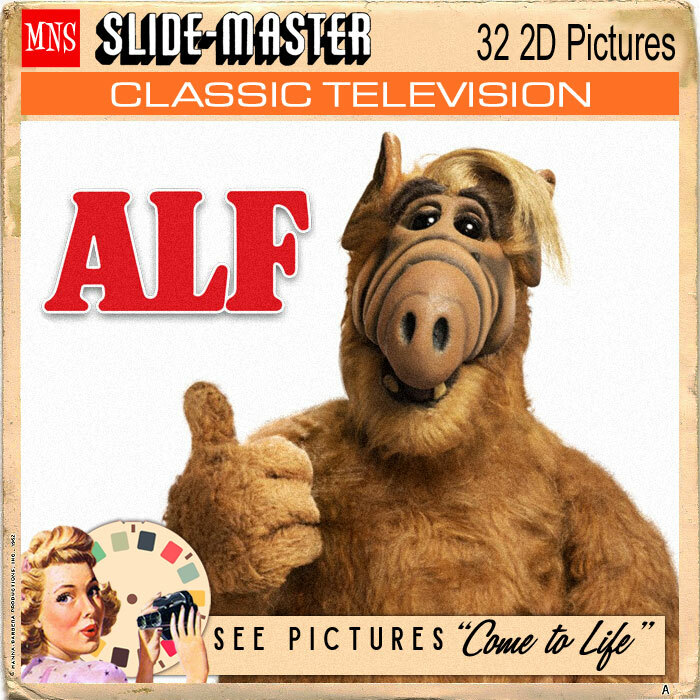 Produced by Alien Productions, ALF originally ran for four seasons and produced 99 episodes, including three one-hour episodes that were divided into two parts for syndication, totaling 102 episodes. 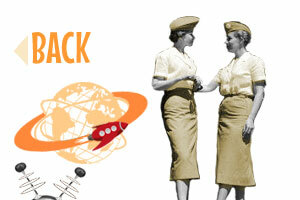 In the pilot episode, Shumway follows an amateur radio signal and crash-lands into the garage of the Tanners. The Tanners are a suburban middle class family consisting of the social worker Willie (Max Wright), his wife Kate (Anne Schedeen), their children Lynn (Andrea Elson) and Brian (Benji Gregory Hertzberg), and the cat Lucky. 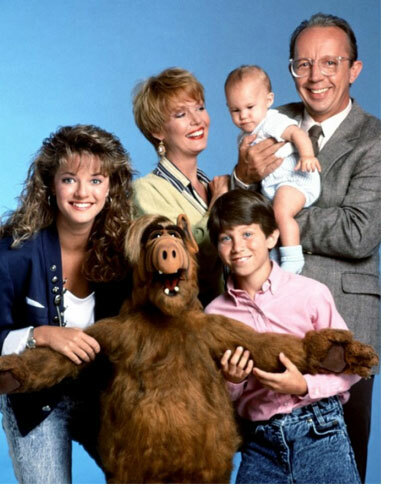 Unsure what to do, the Tanners take ALF into their home and hide him from the Alien Task Force (a part of the U.S. military that specializes in aliens) and their nosy neighbors Trevor and Raquel Ochmonek (John LaMotta and Liz Sheridan), until he can repair his spacecraft. He generally hides in the kitchen. 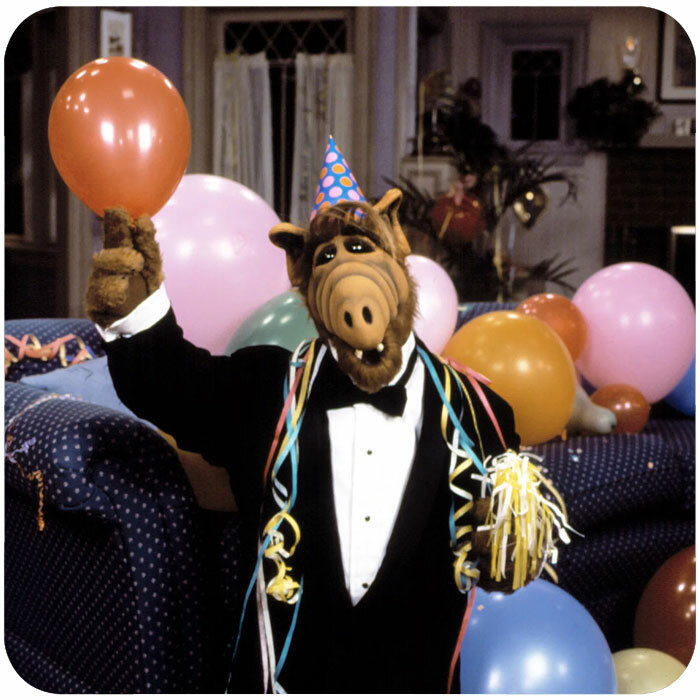 It is eventually revealed that ALF's home planet Melmac exploded, due to nuclear war. 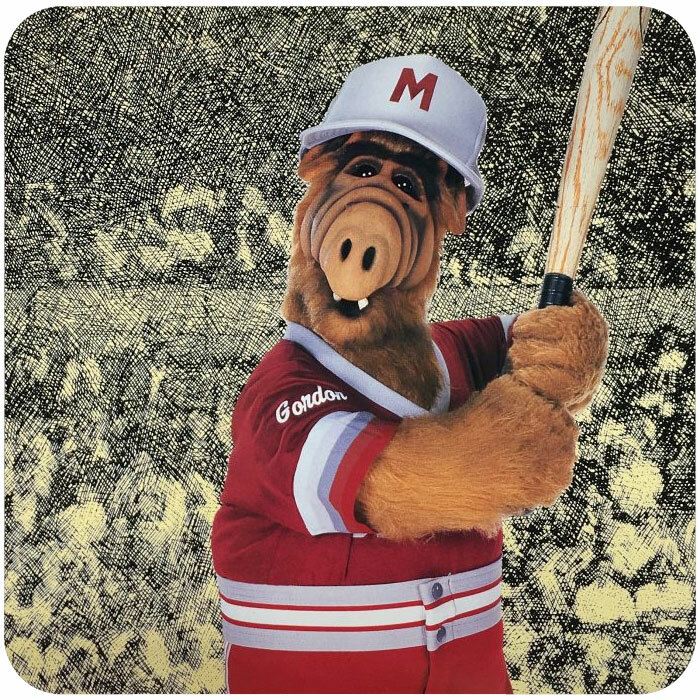 ALF was off planet when his world was destroyed serving as part of the Melmac Orbit Guard. In the season one episode titled "Pennsylvania 6-5000", ALF tries to convince the President of the United States to stop the nuclear program, as ALF fears that Earth might suffer a fate similar to Melmac's, though miscalculating his words causes the President and national security to call the FBI to arrest Willie. 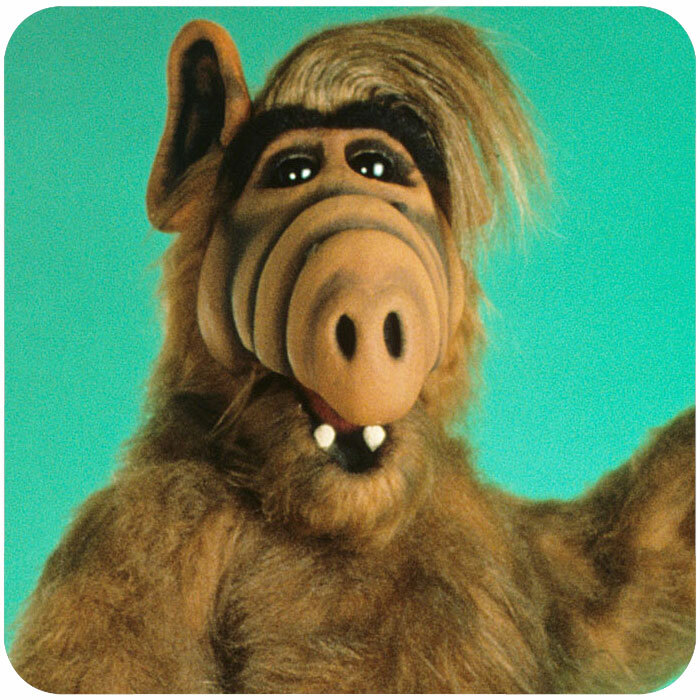 ALF's real name is Gordon Shumway who is nicknamed ALF (an acronym for Alien Life Form) by Willie Tanner. 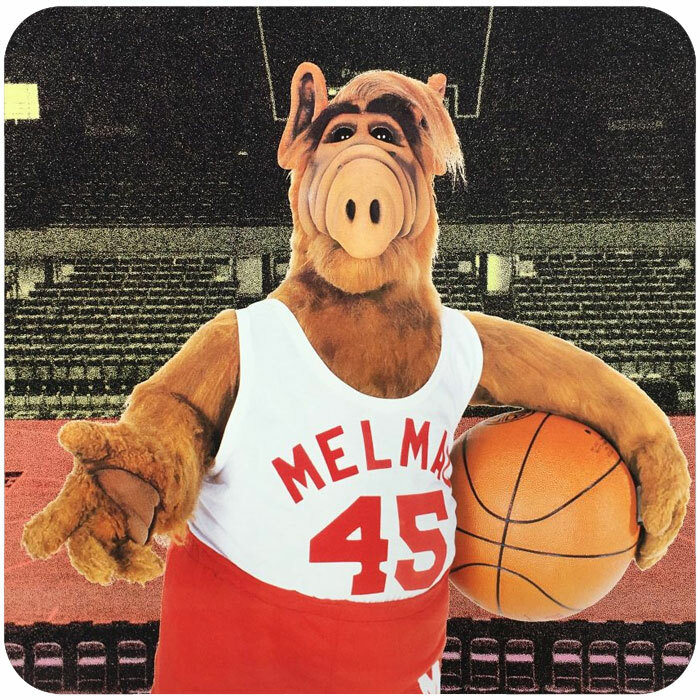 ALF was born on October 28th, 1756, on the Lower East Side of the planet Melmac. Melmac was located six parsecs past the Hydra-Centaurus Supercluster, and had a green sky, blue grass and a purple sun. The commonly-used currency is a "Wernick" (named after producer Sandy Wernick), which is equal to 10 American dollars. Lint, gravel and foam are as precious on Melmac as gold is on Earth, whereas gold and platinum are so common that they are used in place of porcelain to make toilets and sinks, as seen in the season one episode "Baby, You Can Drive My Car", where ALF sells the gold and platinum plumbing in his ship to buy a Ferrari for Lynn. ALF's body is covered with fur and he has a rippled snout, facial moles and eight stomachs. His heart (if he only has one) is apparently located in his right ear. He likes to burp and eat cats, and can whistle without opening his mouth. He had a best friend on his home planet named Malhar Naik. 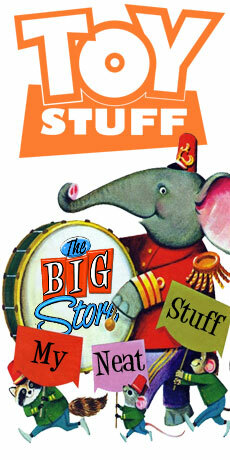 He has friends named Skip, Rick, Stella, and a girlfriend named Rhonda, all of whom also escaped the explosion. He attended high school for 122 years and was captain of a "Bouillabaisseball team", a game played on ice using seafood as a ball. 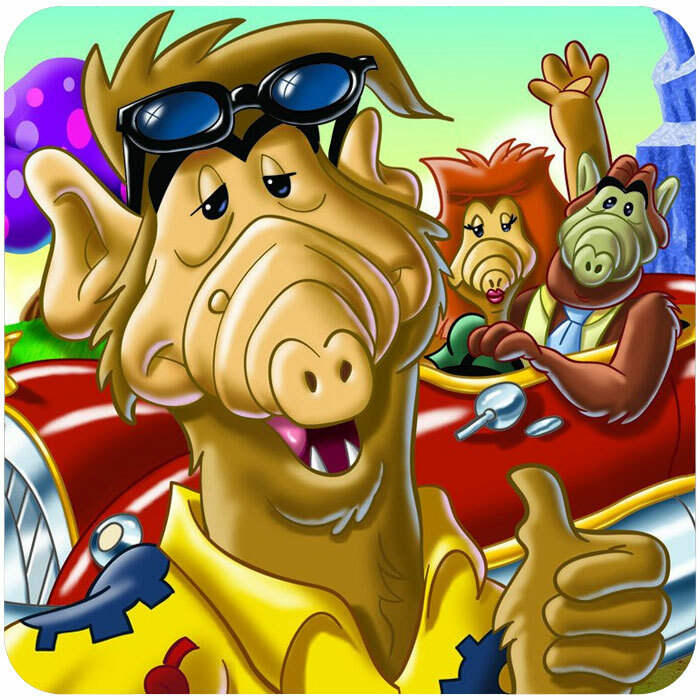 ALF is troublesome, sarcastic, slovenly and cynical, and sometimes puts himself at the risk of being discovered while perpetrating some of his often-unintentional pranks. However, if things have gone too far, he does as much as possible to make up for his mistakes, generally with positive results. In the episode "It's Not Easy Bein'... Green", he tries to help Brian, too afraid to perform, to gain confidence during a school show by giving him a "lucky tooth" that ALF claims helped him be a star of the stage on Melmac. On another occasion, in the episode "I've Got a New Attitude", he helps Dorothy deal with Sparky's death and move on to accept Whizzer's friendship. 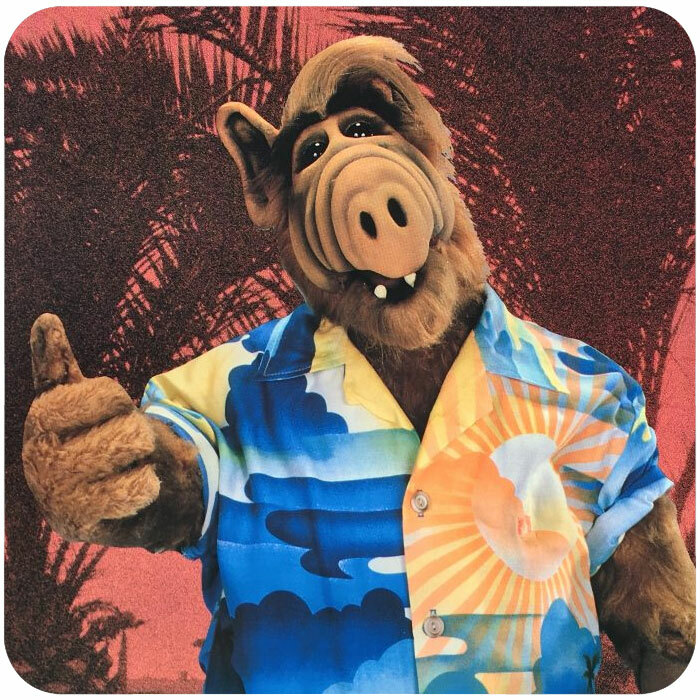 In the episode "Take a Look at Me Now" after neighbor Raquel Ochmonek claims to see ALF and is ridiculed on a call-in television show, ALF calls into the show to defend her. 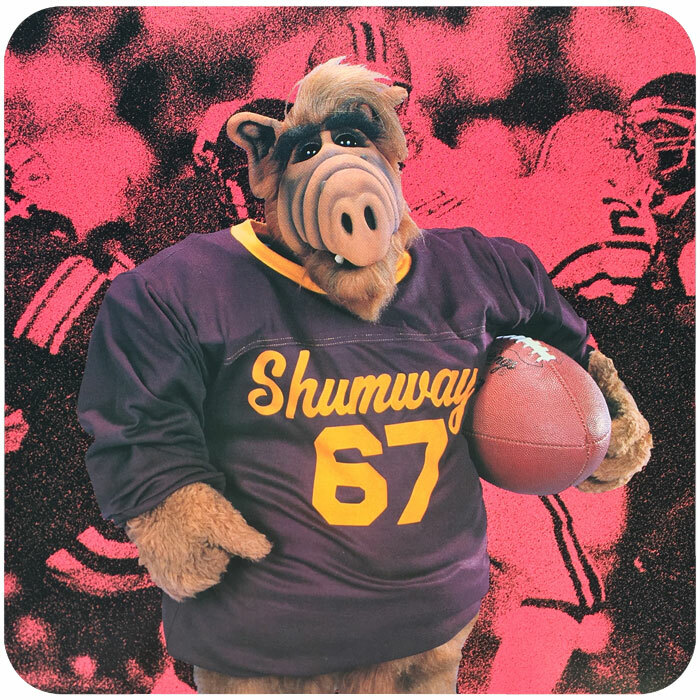 ALF comes from a large family and has at least 30 known relatives: cousins "Pretty Boy" Shumway and Blinky; two uncles, Tinkle and Goome; Grandma Shumway; a brother, Curtis; parents Bob and Flo Shumway; and aunts Bubba, Wagner and Eugene. Now alone on earth, ALF becomes a permanent member of the Tanner family, although his culture shock, survivor guilt, general boredom, despair, and loneliness frequently cause difficulty for the Tanners. Despite the problems and inconveniences his presence brings into their lives, they grow to love him, though some episodes make it clear they are also afraid of how their lives would be turned upside down if word got out that he has been living with them. While most of the science fiction of ALF was played for comedic value, there were a few references to actual topics in space exploration; for example, ALF uses a radio signal as a beacon in the pilot episode. In the episode "Weird Science", ALF told Brian, who was building a model of the solar system for his science project, that there were two planets beyond Pluto called "Dave" and "Alvin" (as in David Seville and Alvin from the Alvin and the Chipmunks franchise), which gets Brian in trouble at school. 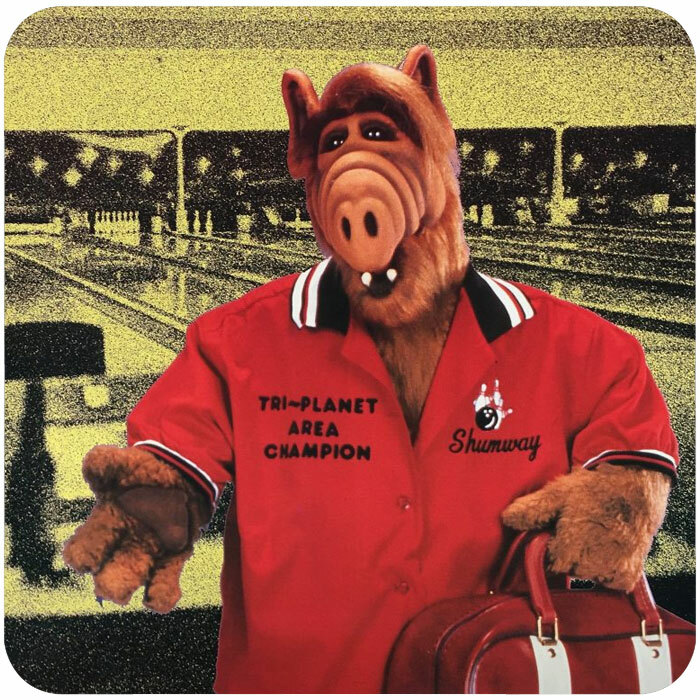 However, after ALF makes a call to an astronomical organization and states that "Dave" is known by the organization, Willie comes to believe that "Dave" could have been the planetoid Chiron, or "Object Kowal", after it's discovered. 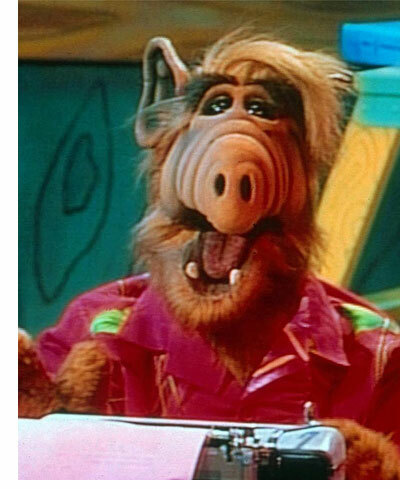 ALF then shows Willie exactly where "Dave" is on an intergalactic map of the universe. 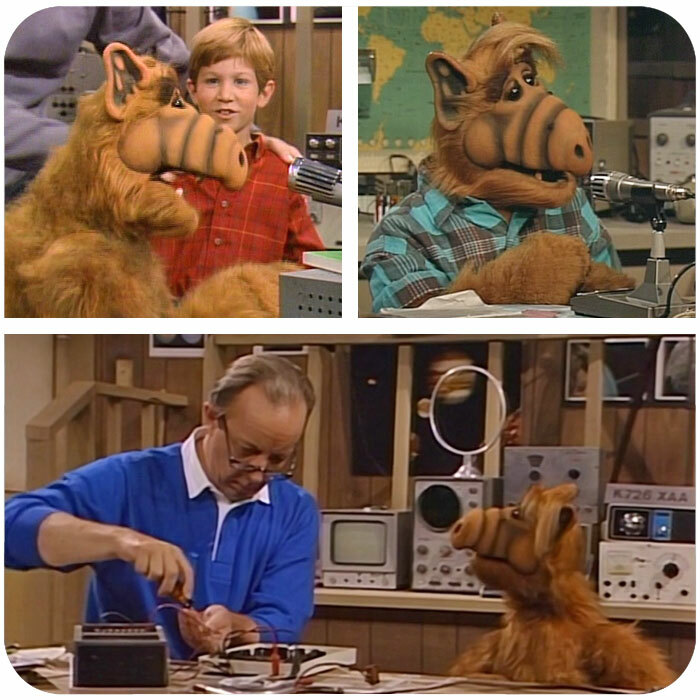 Each episode dealt with ALF learning about Earth and making new friends both within and outside of the Tanner family, including Willie's brother Neal (Jim J. Bullock), Kate's widowed mother Dorothy (Anne Meara) with whom ALF has a love-hate relationship, her boyfriend (and later husband) Whizzer (Paul Dooley), the Ochmoneks' nephew Jake (Josh Blake), a psychologist named Larry (Bill Daily), and a blind woman named Jody (Andrea Covell) who never figures out that ALF is not human (although she is aware through touch that he is short and hairy). Changes occur within the Tanner household over the course of the series, including the birth of a new child, Eric (the reason for adding a baby in the series being that Anne Schedeen was pregnant in real life at the time); ALF's move from his initial quarters in the laundry room to the attic, which he and Willie converted into an "apartment", and the death of Lucky the cat in season four's "Live and Let Die"; in this instance, ALF finds that despite his occasional attempts to catch Lucky with the intention of making the cat a meal, as cats are the equivalent of cattle on Melmac, he has come to love and respect the family pet too much to do anything untoward with Lucky's remains. 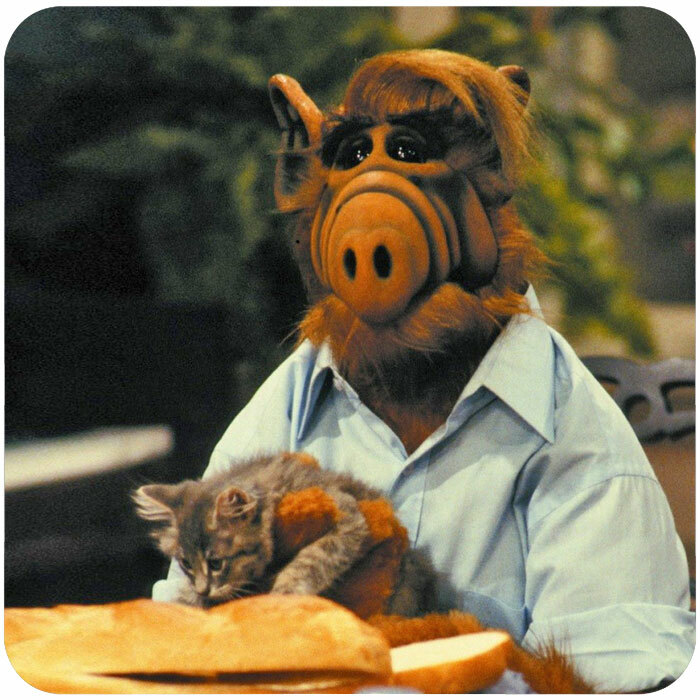 When ALF acquires a new cat with the intent of eating it, he actually grows fond of it and allows it to be adopted by the family, although he admits to the Tanners he has become the worst kind of Melmackian, a "cat lover". Originally, producer Bernie Brillstein was approached to see Paul Fusco's audition with a new puppet character but was initially uninterested, having managed Jim Henson for years, and regarding Henson as the best creature-puppeteer in showbiz. However, Fusco's brief performance as ALF won over Brillstein, who thought the character was hilarious and strong enough to be the focus of a series. Fusco (above) would go on co-produced the series with Brillstein and Tom Patchett. Patchett also co-created, wrote, and directed the series. 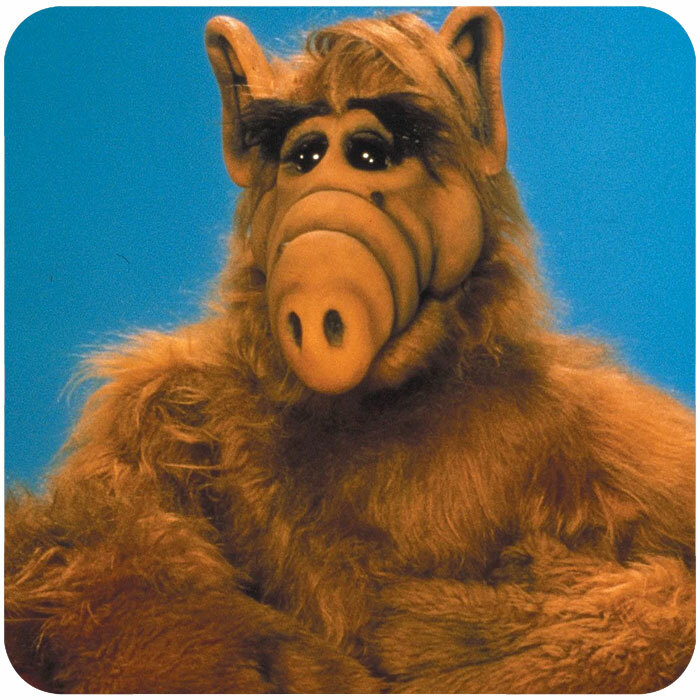 Due to the inherent nature of producing a show featuring hand-operated puppets (à la Jim Henson's The Muppet Show), ALF was technically difficult and demanding on series creator Fusco as well as its four lead actors. All confirmed during a 2006 People magazine interview that there were high levels of tension on the set. Max Wright stated that he despised supporting a technically demanding inanimate object that received most of the good lines of dialogue. He admitted to being "hugely eager to have ALF over with." Artie Lange, who later worked with Wright on The Norm Show, told of a time when Wright had become "crazed" and attacked ALF, causing producers to have to pull Wright off the puppet. Anne Schedeen added that on the last night of taping, "there was one take and Max walked off the set, went to his dressing room, got his bags, went to his car and disappeared... There were no goodbyes." Schedeen herself said "there was no joy on the set... it was a technical nightmare  extremely slow, hot and tedious... A 30-minute show took 20, 25 hours to shoot." While fond of her on-screen children, Schedeen said some adults had "difficult personalities. 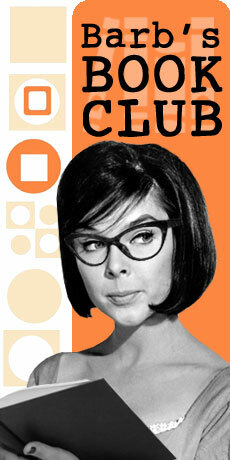 The whole thing was a big dysfunctional family." 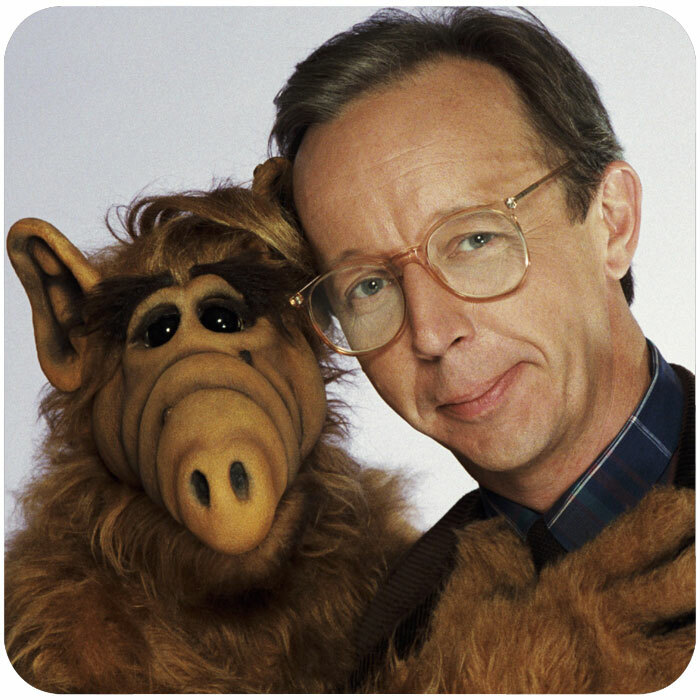 Schedeen added, "It's astonishing that ALF really was wonderful and that word never got out what a mess our set really was." 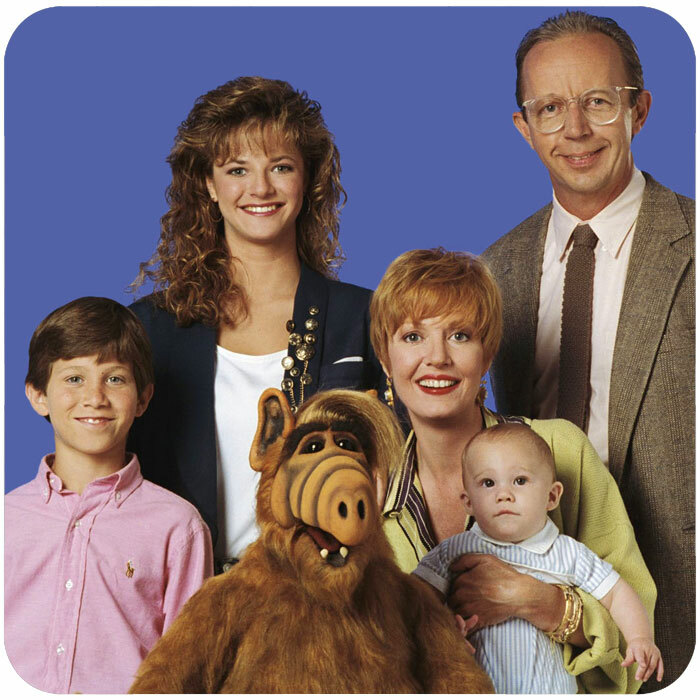 Andrea Elson, who suffered from bulimia during the second season of shooting, stated, "If ALF had gone one more year, everybody would have lost it." Wright did later concede, though, that "It doesn't matter what I felt or what the days were like, ALF brought people a lot of joy." In reference to the tension, Fusco commented in 2012 that "It was just the nature of the beast. There was no way we could have made it go any further or any faster," he insisted. "I think it was frustrating that it would take so long, but people got paid for what they did. Despite what people thought, that there was a lot of tension on set, there really wasn't." Fusco was notoriously secretive about his character up until the series' premiere. 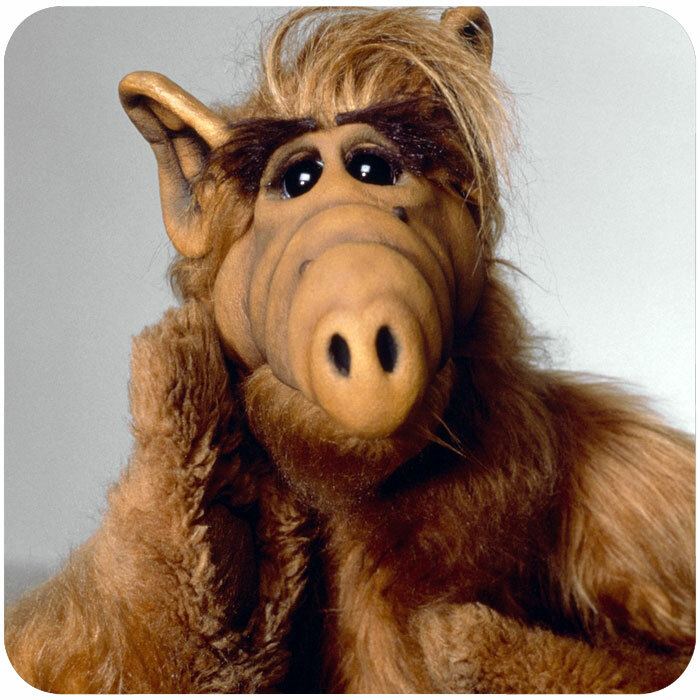 During the show's production, Fusco refused to acknowledge that the puppet ALF was anything other than an alien. 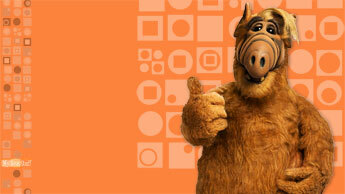 All involved with the production were cautioned not to reveal any of ALF's production secrets. 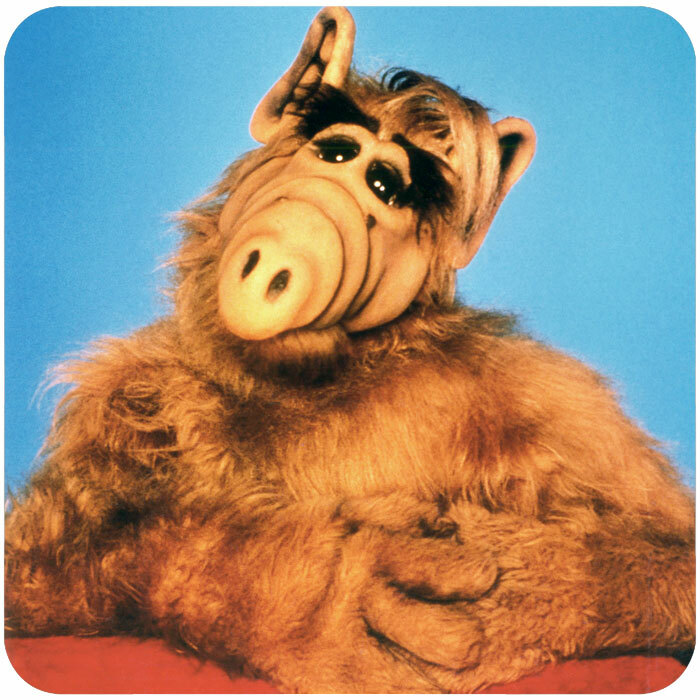 The set was built on platform raised four feet above the ground, with trap doors constructed at many points so that ALF could appear almost anywhere; Fusco operated him from underneath, so the unoccupied holes all over the floor were deep and treacherous. The trapdoors had to be reset multiple times, sometimes during a single scene. Fusco was the principal puppeteer, and used his right hand to control ALF's mouth, while the left controlled ALF's left arm. Second puppeteer Lisa Buckley assisted Fusco beneath the stage, operating ALF's right arm. 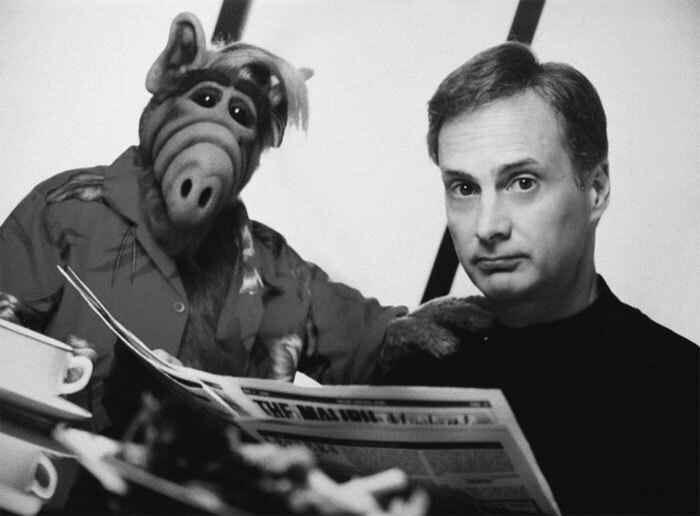 There was additionally a third puppeteer, Bob Fappiano, who controlled ALF's facial and ear movements via a radio controller offscreen. 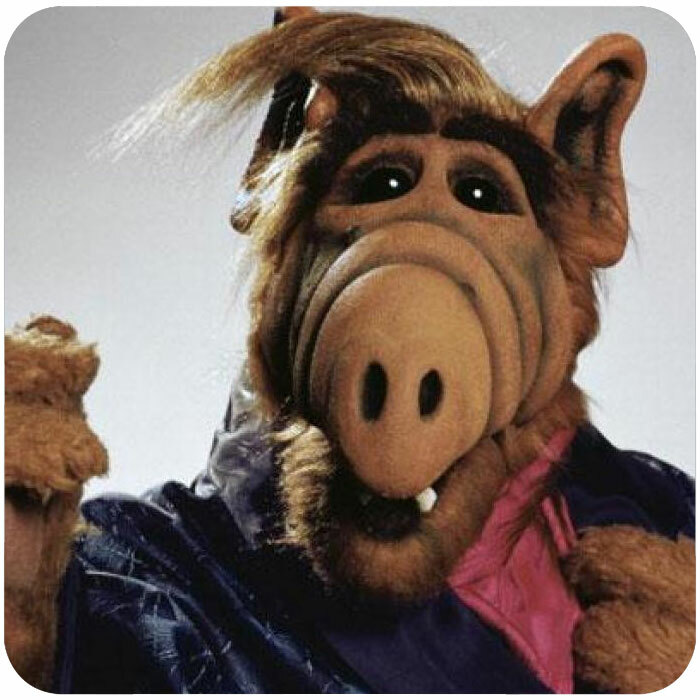 During tapings, Fusco would wear a head-mounted microphone to record ALF's voice. 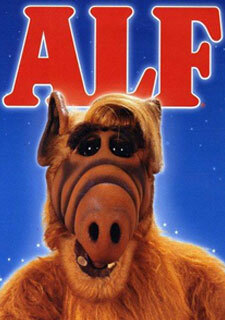 The process resulted in numerous mistakes and retakes, making it impossible to record ALF in front of a live audience. A laugh track was added during post-production. 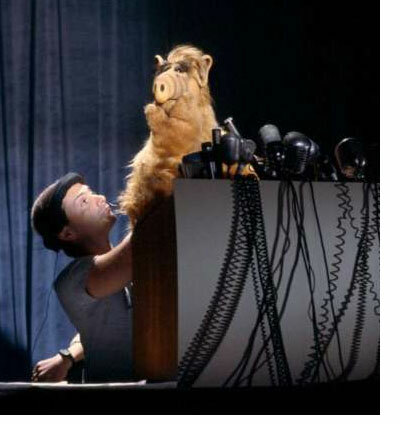 To avoid wear and tear on the principal ALF puppet, the performers rehearsed with a crude early version of ALF, nicknamed "RALF" For ("Rehearsal Alien Life Form"). 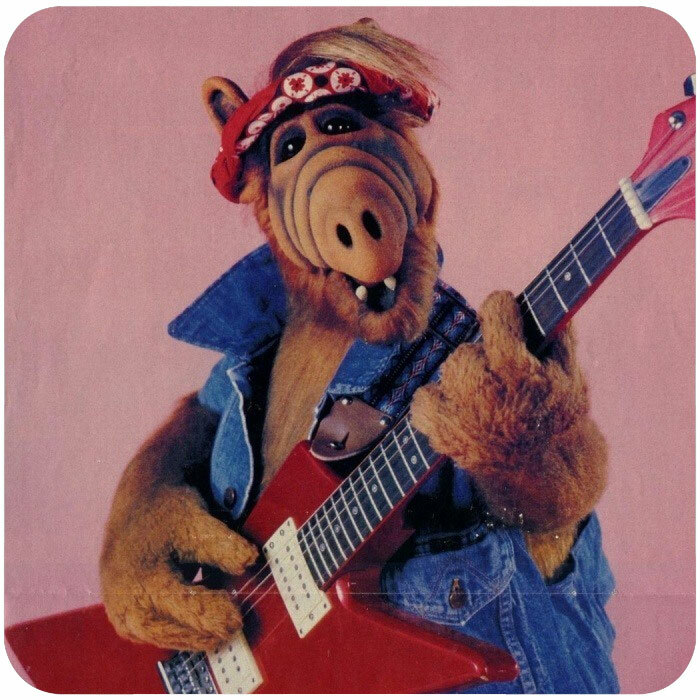 Fusco did not like to rehearse, and would often substitute his hand or RALF for the real ALF puppet during rehearsals. In an interview on Late Night with Conan O'Brien, Tina Fey said that her biggest frustration as producer of NBC's 75th anniversary special was dealing with ALF's "people". 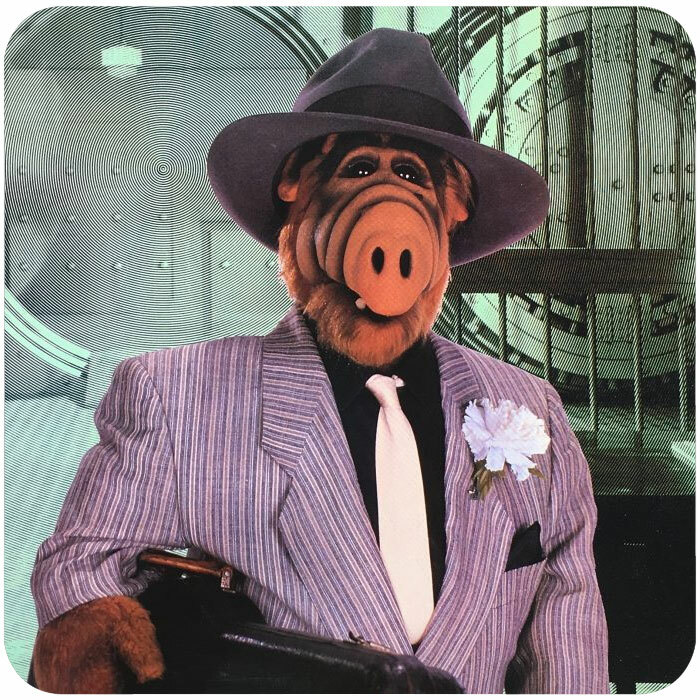 Fey said Fusco would only allow ALF to appear on the show if the puppeteers were hidden from everyone else. 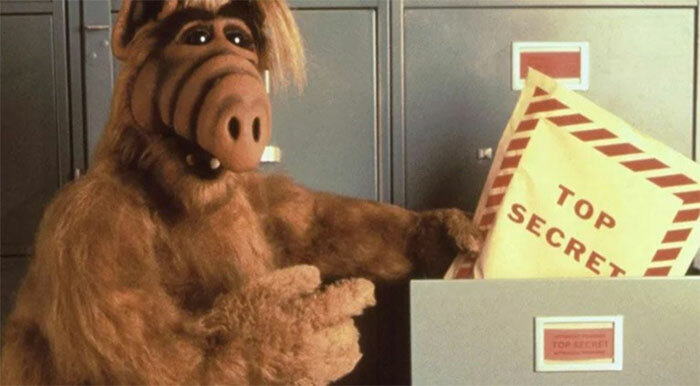 After ALF's cameo alongside former Family Ties star Michael Gross, ALF disappeared through a hole in the riser, was stuffed into a case, and immediately removed from the building. While a puppet was usually used for ALF, there were some shots of the tiny alien running or walking around. 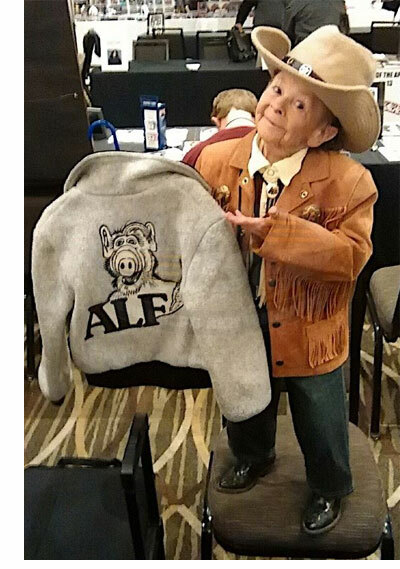 This was accomplished by actor Mihaly "Michu" Meszaros wearing an ALF costume. 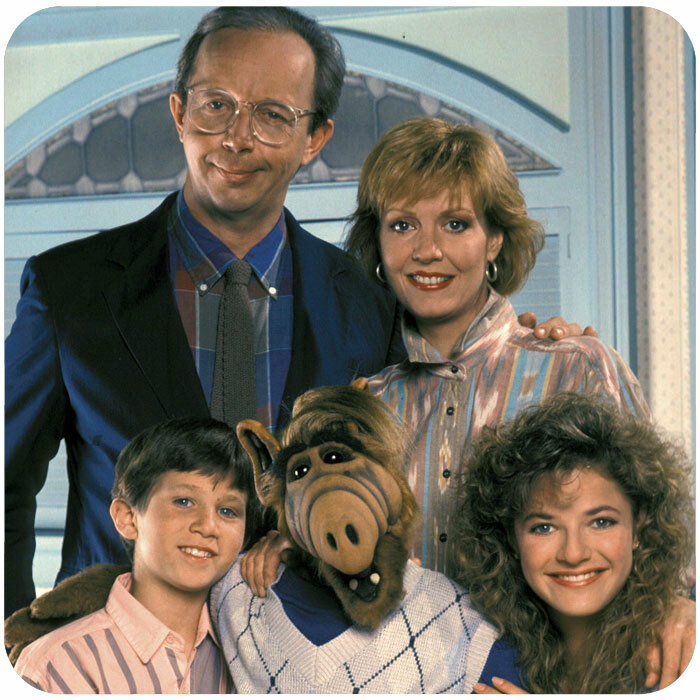 This can be seen in one of the series' intros, which concludes with the Tanner family getting their picture taken; ALF (played by Meszaros) walks over to be part of the photo. 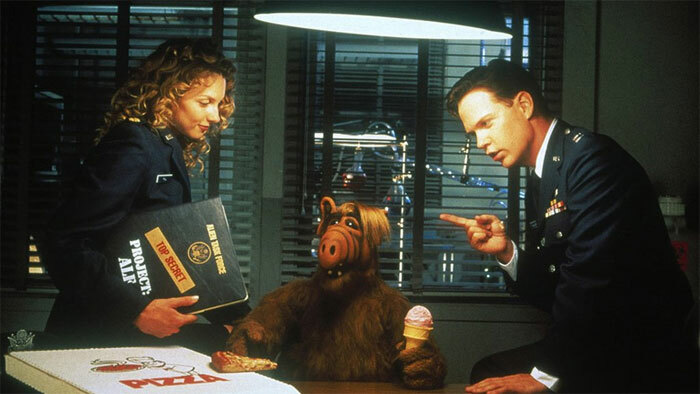 However, Meszaros' services became too costly as well as time-consuming, and the full ALF costume was abandoned after the first season. Standing at 2 feet, 9 inches, Mihaly "Michu" Meszaros (right) was a longtime circus performer and actor who was unofficially known as the "Smallest Man on Earth." Meszaros also appeared in a handful of films including Big Top Pee-wee and Look Who's Talking, as well as several other TV shows including, "H.R. Pufnstuf" and "Dear John". His last appearance was in the short comedy, "Death to Cupid" in 2015. He also appeared in commercials and music videos. The Hungarian born performer studied juggling, acrobatics and pantomime at a circus school in Hungary, started performing when he was 14, and worked for the Hungarian National Circus. He was discovered by Kenneth and Irving Feld of the Ringling Brothers and Barnum and Bailey Circus who brought him to the US in 1973. A government agent followed him, to make sure he didnt defect. But he later did, in 1980, together with his Hungarian guard, and gained resident alien status in 1984, becoming an American citizen in 1990. Billed as "The Mighty Michu" he was a star with the Ringling Brothers Circus for 12 years becoming one of the most beloved circus performers in history, capturing the imagination of thousands, including a teenage Michael Jackson, with whom he would become close friends. 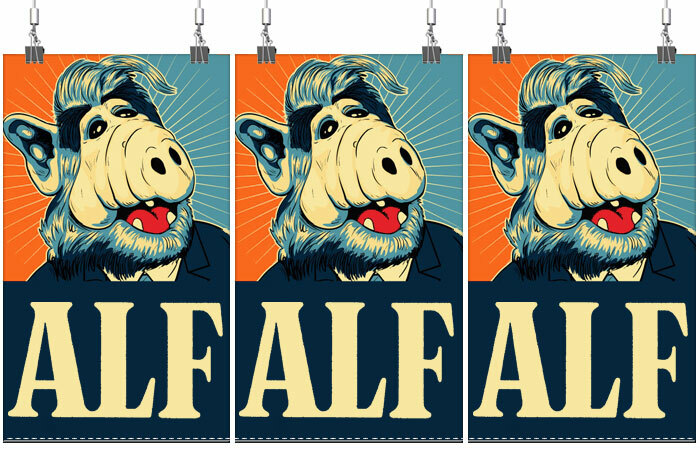 ALF scored its highest ratings during Season 2 (reaching #5 in the Nielsen ratings). Ratings remained at a steady 10th place during Season 3, but plummeted to 39th place during Season 4. 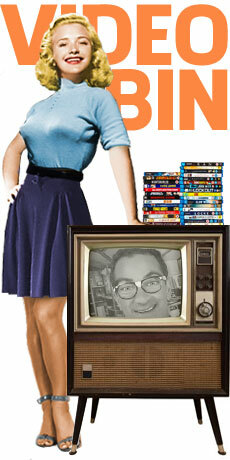 NBC moved the show from its traditional Monday night slot to Saturday in March 1990, but ratings continued to fall. The season-ending cliffhanger "Consider Me Gone" became an unintentional series finale when NBC gave Alien Productions a verbal commitment for a fifth season, but ultimately withdrew its support. 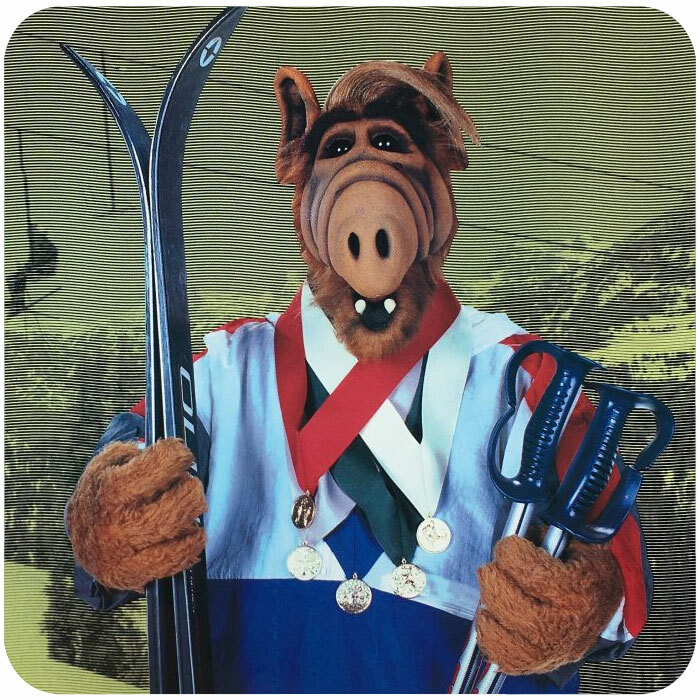 ABC resolved the cliffhanger on February 17th, 1996, with the TV movie Project ALF. 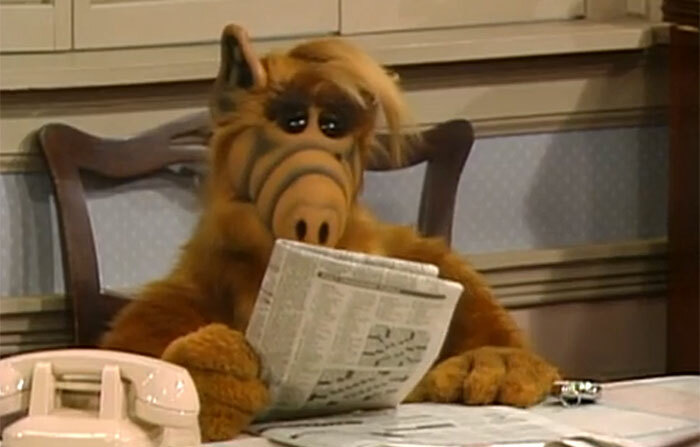 NBC executive Brandon Tartikoff later told Fusco that the network regretted cancelling ALF prematurely, saying "It was a big mistake that we cancelled your show, because you guys had at least one or two more seasons left." Fusco commented in 2007 that his most enjoyable experience on ALF was sitting in the Writers' Room and pitching jokes, while pushing the limit as to what NBC censors would allow. Fusco commented that, "the greatest things were the jokes we couldn't put in the show." Specifically, puns dealing with ALF eating cats and other pets were problematic after NBC reported that a child placed a cat in a microwave after watching the show. In the pilot episode "A.L.F. 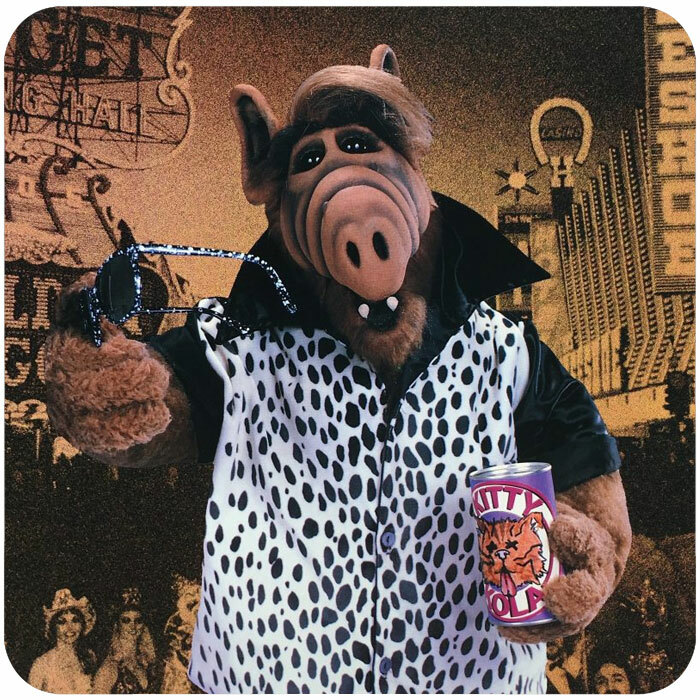 ", ALF is seen consuming a beer with Brian. Fusco defended the premise saying that "ALF is 285 years old, he can drink beer, he's old enough." 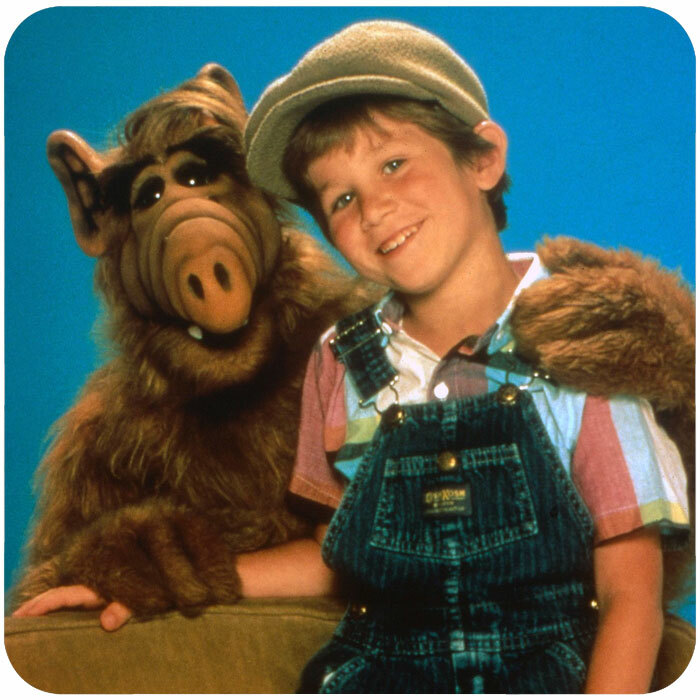 However, as ALF became more popular with children, NBC told Fusco "you can't have him drinking; the kids are watching, it's a bad role model." 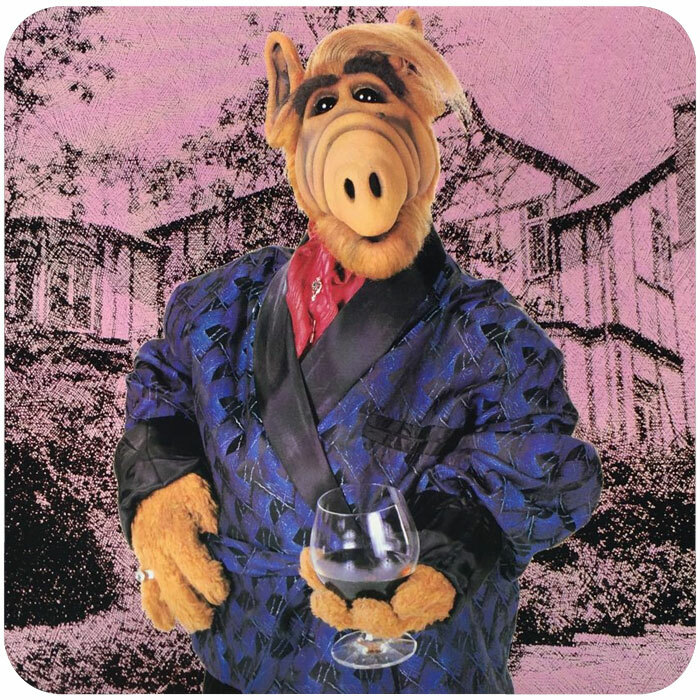 Even though Fusco believed that ALF was "an adult: he can do it," the alcohol consumption concept was discarded by the end of the first season. The cat-eating concept carried sporadically into the second season, with references including the "wedding cat" in the episode "Something's Wrong With Me," the Melmacian equivalent of a wedding cake. 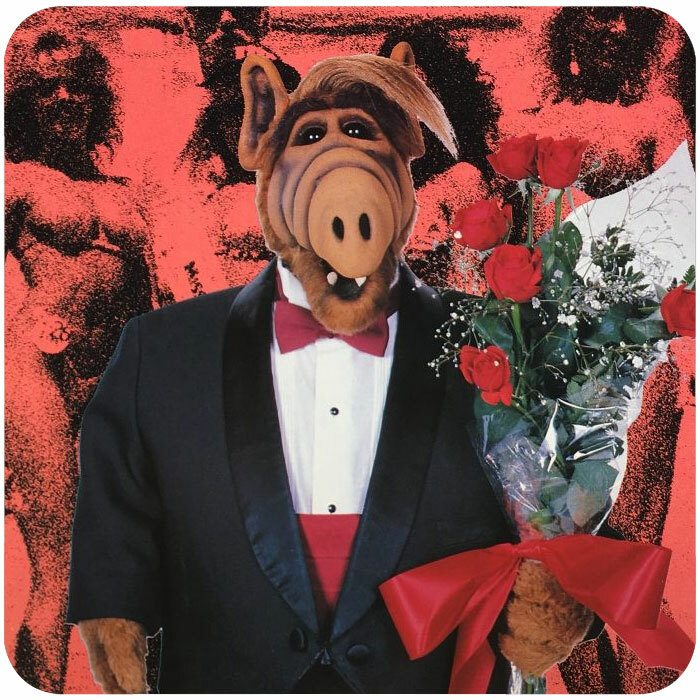 For the hour-long season 1 episode, "Try to Remember," originally broadcast on February 9th, 1987, ALF tries to simulate a jacuzzi by bringing Kate's electric mixer into the bathtub, thus receiving an electrical shock that caused amnesia. Fusco ended the original episode with a public service announcement from ALF himself, warning of the dangers from mixing water and electricity. Despite this, NBC reported that a child attempted to recreate the scenario and nearly electrocuted himself in the process (Fusco confirmed that the child was unharmed); Fusco was forced to refilm the opening sequence, replacing the electric mixer with a manual egg beater. ALF's amnesia is instead caused by a cranial concussion received after slipping in the shower (a "thud" is heard rather than a "zap"), with all mentions of being shocked either overdubbed with new dialogue or deleted entirely (including ALF's public service announcement). This edited version was used for a Fall 1988 rebroadcast, as well as all future U.S. and Canadian syndicated airings. 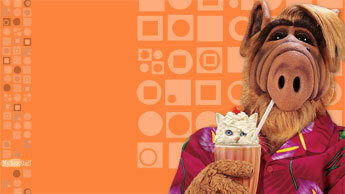 In 2010, blooper footage surfaced in which ALF was made to deliver racial jokes and inappropriate sexual comments. He was actually mocking a then recent episode of L.A. Law dealing with Tourette syndrome. Asked to comment, producer Steve Lamar stated that the footage was from an era when things were not so "ridiculously PC". 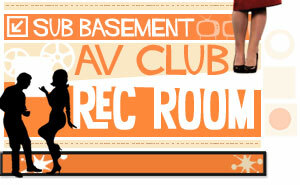 To capitalize on the success of the series, a spinoff animated series arose and aired on Saturday mornings on NBC. 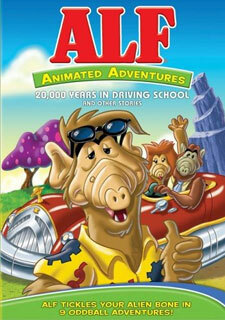 Alf: The Animated Series, (AKA Alf on Melmac) set on ALF's home planet of Melmac, ran from 1987 to 1988. 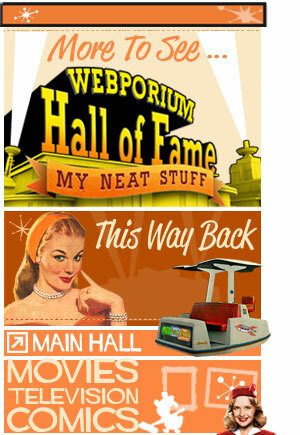 The series was a prequel series, set on Melmac before the planet exploded. 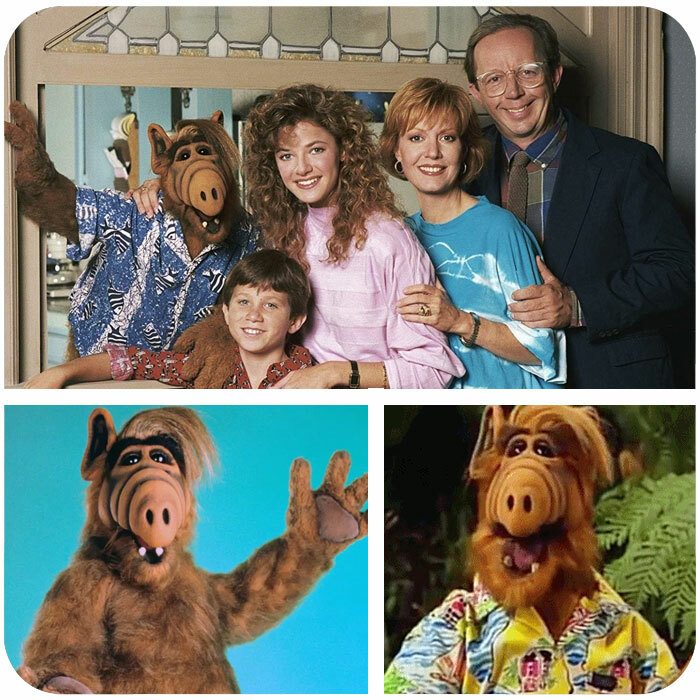 The show focused on ALF, his family, his friends, and girlfriend Rhonda and their various exploits. 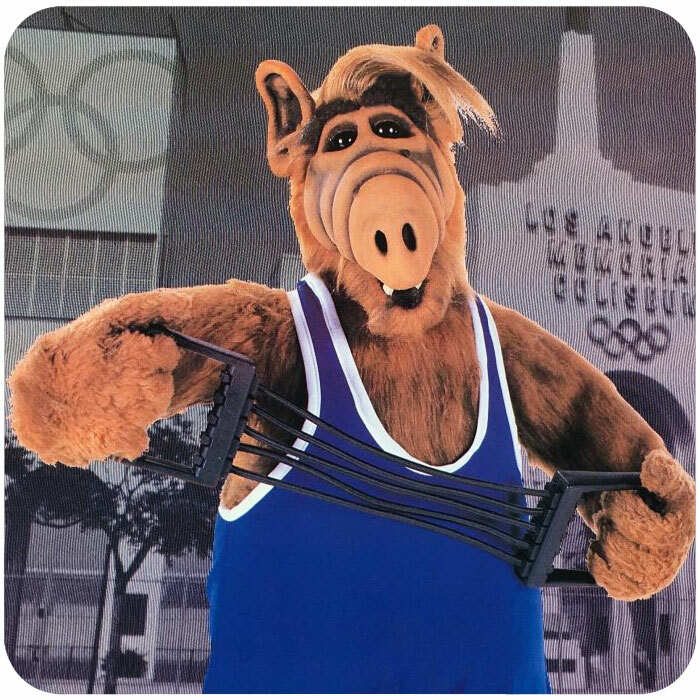 Each episode was bookended by a live-action sequence involving ALF talking to the television viewers, setting up the episode. When the cartoon entered its second season, it was paired with in a one-hour block with its own spin-off AlfTales, which took Gordon and the cast of characters from season one and recast them as characters from assorted classic (Earthly) fairy tales. 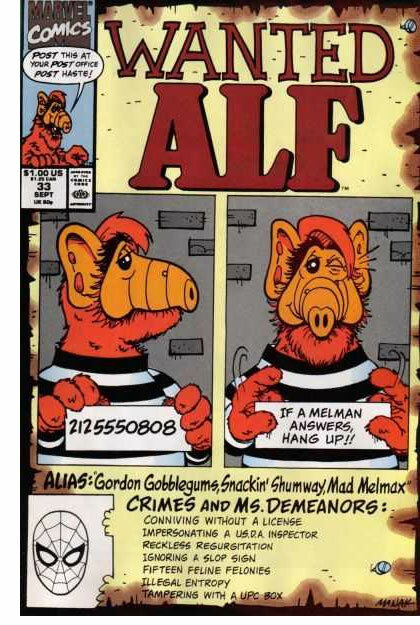 An ALF comic book was published by Marvel Comics beginning in 1987 and ran for four years, 50 issues, and nearly a dozen specials. 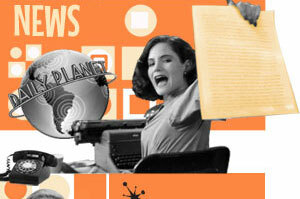 The comic loosely followed the continuity of the television show (though it featured alternate takes on certain episodes, like the birth of Eric Tanner) and featured numerous parodies of Marvel Comic characters and other pop culture parodies in the form of "Melmac Flashbacks". Towards the end of the series, when the cancellation of the series was imminent, the series took a highly critical position towards Marvel Comics and then Marvel Editor-In-Chief Tom DeFalco. After the series run in the United States, it went on to even greater success in reruns in many European countries, including Poland, Bulgaria, Germany and Slovakia. 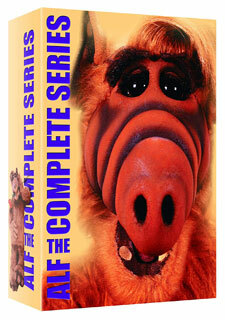 In 1996 a 90-minute television movie, named Project: ALF, was aired on ABC. 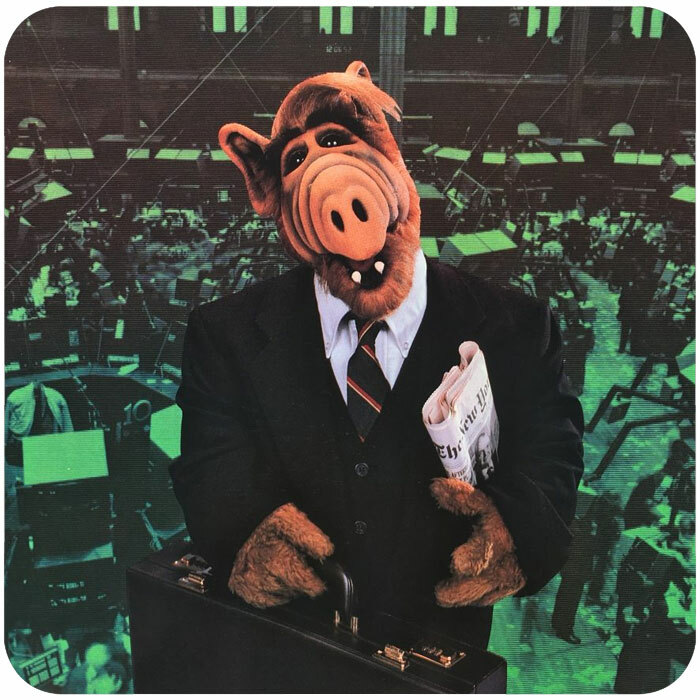 This movie picked up six years after the events of the TV series with ALF in government custody and focuses on a scientist and military policy officer who break ALF out of government custody to get him to a millionaire who is building a working spaceship, so ALF can leave Earth. 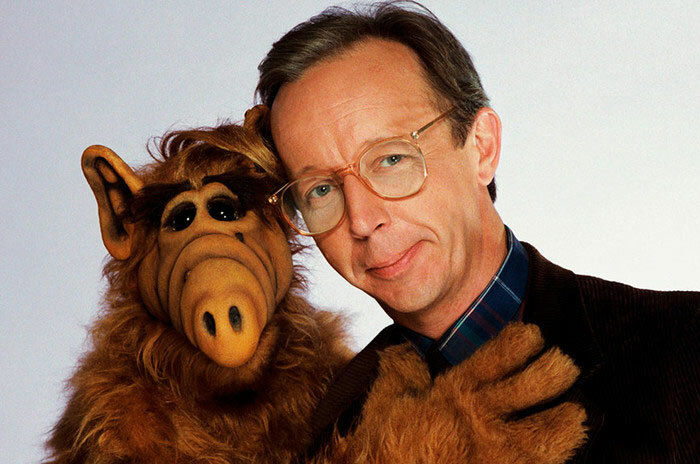 The original series was so popular in Germany that the made-for-TV "Project ALF" was released there theatrically under the name "Alf Der Film" ("Alf the Movie") but was panned by critics and fans particularly for the Tanners' absence. In 2004, ALF's Hit Talk Show debuted on U.S. cable channel TV Land, which featured ALF as a Johnny Carson-type TV talk-show host and co-starring Ed McMahon as his sidekick. 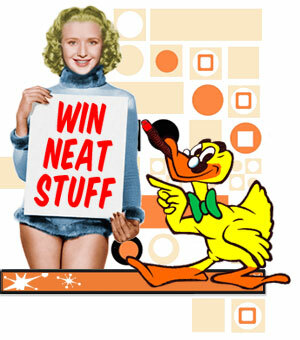 Guests included Drew Carey, Tom Green, and Merv Griffin. It ran for seven episodes. 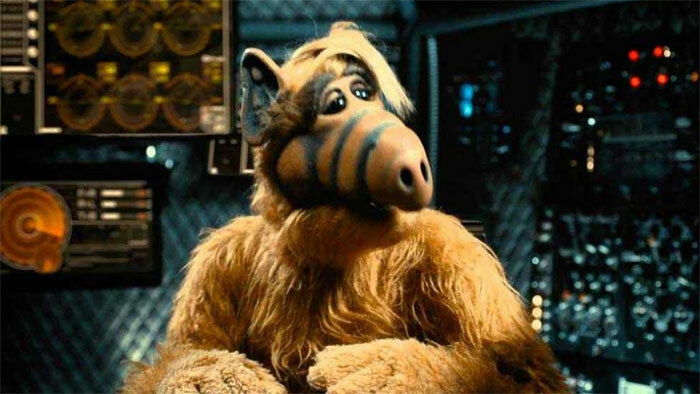 On May 21st, 2012, Paul Fusco said he was pitching an ALF movie and it was reported that Sony Pictures Animation has acquired the rights to ALF and wanted to develop the property into a CGI-Live action hybrid feature. The Smurfs producer Jordan Kerner, would produce the film, along with Tom Patchett and Paul Fusco. 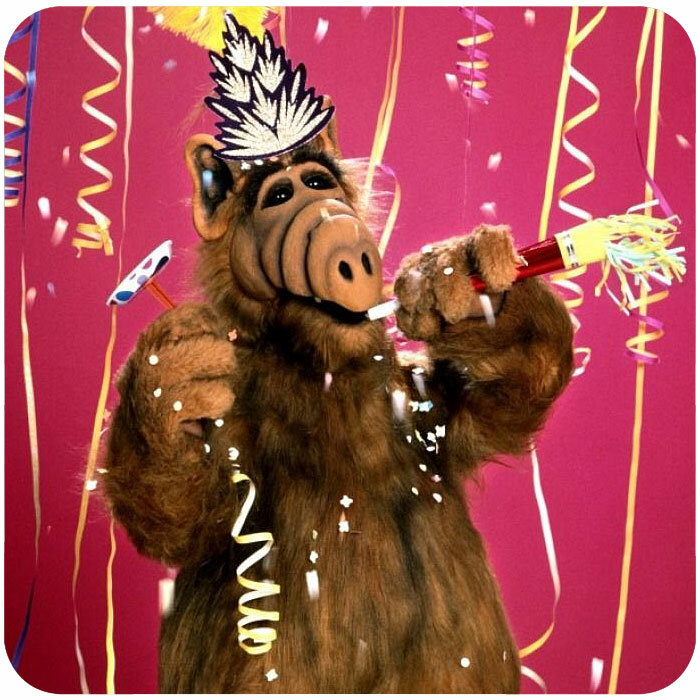 On August 1st, 2018, it was announced that Warner Bros. will produce an ALF Reboot. 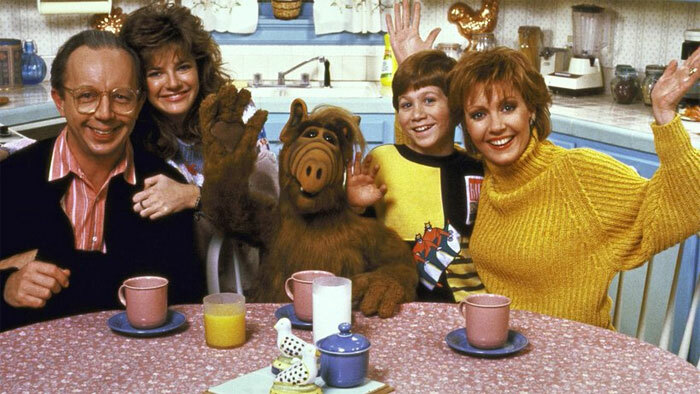 The reboot will likely focus on ALF returning to Earth, with a new family and characters.